It has been a while since I came by to my brother-in-law's place to attend the Sunday Service. 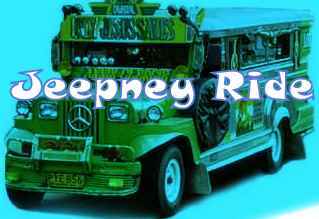 Going to that place is about forty five minutes of jeepney ride from our place. It was a nice ride because I was able to arrive early and there had been a minimal stopover. It was also not jam packed and the travel had also been smooth. I was able to attend the Sunday School and the Sunday Service. It was also the birthday of my husband's niece that I was able to attend the party. Some fruits like durian had been served. While eating we have talk about the fruits in their place like durian, rambutan, pomelo and many others.Aside from fruits, chickens and pigs is also abundant because there are many poultry houses around. Along with these topic is the pest that associated with it. If fruits have seasons, there are also months when certain pests come out. During harvest season of fruits, mosquitoes increases. Maybe because of the odor or some rotten fruits. Houseflies or "langaw" would also increase in number if it is harvest season of chicken. Maybe because of the odor or some waste. If only there would be a pest control company in that area like Arizona Pest Control or Pest Control Mesa AZ to address the issue. If only there would be Exterminator Phoenix which could exterminate these pests. It is really gruesome to have a lot of pests in certain areas especially in the dining area. Swarming of housefly is a very horrible scene. It is really a problem to the people and it might be the cause of sickness. Hope the government agencies would also do something about it. I know there are some sanitary inspections done by government agencies, but I hope that they will really implement it and be more strict on its implementation. The welfare of the people should be given with highest priority. On my way to the office this morning, I was able to encounter a very interrogative driver. Our office was situated in a private village and it is a house but has an office setup inside. Eventhough I was wearing formal attire which is in skirts and in high heels, he asked me if I was working as a nanny. I told him I am not a nanny. So he asked me again if I am an all around maid. I told him I am not a maid and instead I do accounting jobs. So he asked me again if I do really account everything. I said to him that I don't necessarily account everything only useful information. I was kind of offended by some of his questions but later on got to understand why he was able to formulate that type of questions. I got to realized that if you are working in a house, the typical assumption of your job could be a nanny or a housemaid. These are jobs that may not be included in DATS Jobs and could not be an approriate job for college graduates. I never thought that a house office would give a different job assumption to other people.